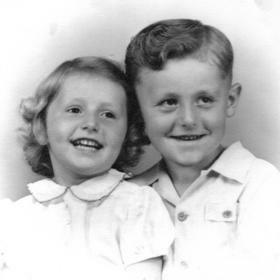 On March 23, 1940, Harvey and Grace (Miller) Schutt celebrated the birth of their little girl, Carol Ann. Born and raised in Webberville, Michigan, Carol grew up alongside her older brother Donald. Her father owned and ran an apple orchard before moving into the nursery business in their hometown. Carol’s mother was a schoolteacher in Webberville and later taught at Michigan State University. Carol grew up in a happy home in classic small town America. 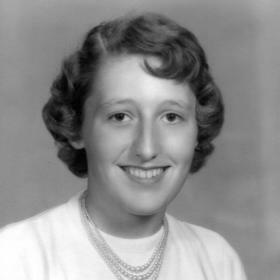 As a teenager Carol was active in her community and in her school. She was on her High School Girls’ Basketball team, was a member of the Future Homemakers of America, performed in school plays, was co-manager of the yearbook, was a member of the band, and was active in her local United Methodist Church. 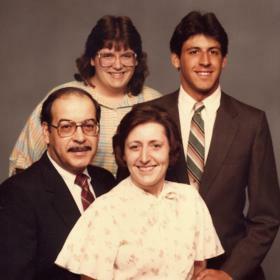 After High School, Carol studied at Michigan State University and earned a Secretarial Degree. She worked during summers at home and one summer as a guide at Glacier National Park, an experience she remembered with great fondness. After graduating from MSU, Carol found employment at the Oldsmobile division of General Motors and was an employee in their secretarial pool. 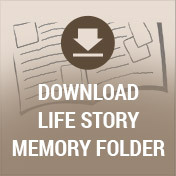 Throughout her life she also spoke fondly of that experience and maintained contact with several of her ex-coworkers. 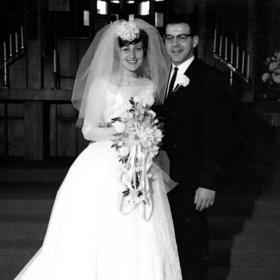 Carol met her husband, Daniel Anthony Berkey, on a blind date, and they married at the University Methodist Church in East Lansing, Michigan on April 2, 1966. The newlyweds shared much in common, including their love for exploring life and all it had to offer. They both loved a good laugh, playing cards, bowling, and were a very social and adventurous couple. Carol and Daniel made their home in Vicksburg, Michigan where they raised their two children. Their son, Scot Anthony was born in 1968, and their daughter, Dawn Marie soon followed in 1969. Carol loved her family and dogs and was a loving wife and mother. 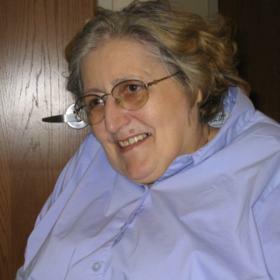 In the early 1970’s, Carol was diagnosed with an aggressive form of Multiple Sclerosis that rapidly took her ability to walk, and she found herself wheelchair-bound as a young woman.  After receiving experimental medical treatments, the progression of the disease was slowed and she was able to live a long life and meet her grandchildren. Although MS took Carol’s mobility and ability to enjoy many of the things that she enjoyed in her younger years, she was thankful to be able to continue to be a part of her family’s life, and her tenacity and humorous disposition never waned. In 1993 Carol lost her husband to cancer, after which she continued to live independently in the Vicksburg area until she required 24x7 skilled care. She then moved to a nursing home in Northbrook, IL near her son’s family where she could enjoy visits, outings, and holidays with her family and grandchildren until her recent passing. Carol’s family will receive friends Friday from 4-7pm at the Life Story Funeral Home, 409 S. Main, Vicksburg (269-649-1697). A funeral service will be held Saturday, June 24, 2017, 2:00 pm at the funeral home.